As I get closer to a trip "home" to New Zealand my mind is mulling over whether or not I will take my Canon 5D and lenses with me. First of all my equipment is heavy and its another piece of hand luggage to be concerned with. Second, I am not going anywhere I haven't already been in New Zealand; this trip will mostly be about catching up with family and friends. So I wonder if I should just leave my gear at home and use the camera on my smart phone. As good as smart phone cameras are getting, they are still not a patch on my Canon 5D. And when I go somewhere new and scenic I take my camera for sure. But the rest of the time I am relying on my phone and find myself taking my camera with me less than in the past. It seems like I am not the only one. Canon, the biggest maker of camera equipment is being hit hard as people spend less on cameras, relying instead on their cell phones. Canon even lowered its profit forecast in the middle of 2013 because of declining camera sales. 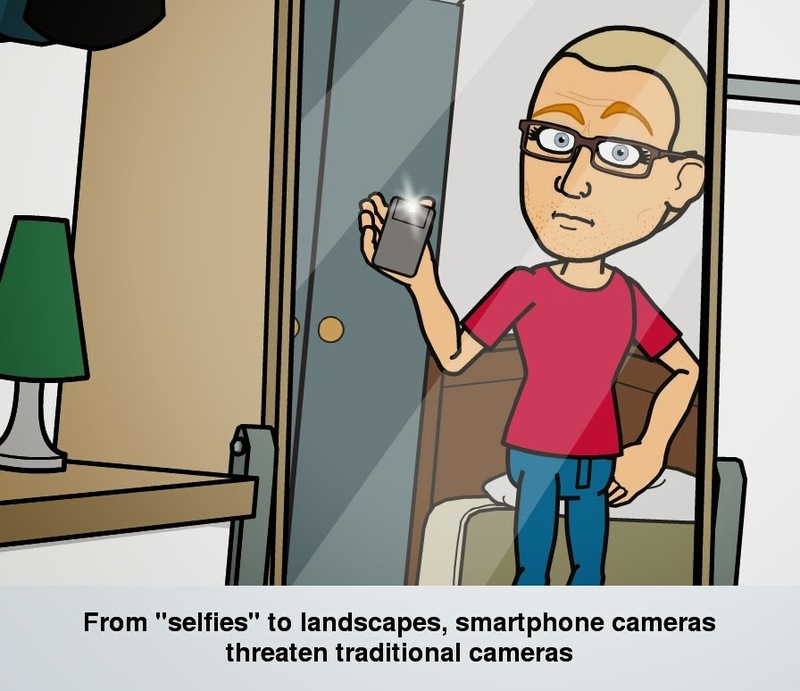 (Canon hit by rising popularity of smartphone cameras). How about you? Do you find yourself leaving your gear behind sometimes now and simply relying on your smart phone?